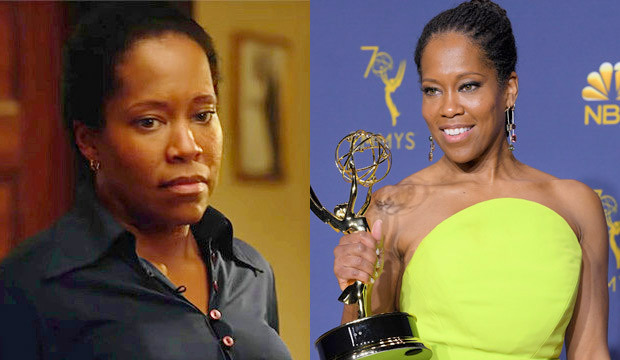 Best Supporting Actress at the Oscars has opened up in a major way for Regina King, who is earning some of the best reviews of her career for her role in Barry Jenkins‘ new film, “If Beale Street Could Talk.” King has been predicted to earn her first Oscar nomination after the rapturous response to her performance when the film debuted at the Toronto International Film Festival, and now there’s an avenue for her to win. This is all thanks to one of her presumed biggest Supporting Actress competitors now being campaigned in the Best Actress category instead. SEEWill Emmy winners Claire Foy and Regina King go head-to-head at 2019 Oscars as Best Supporting Actress? “The Favourite” star Olivia Colman has been the subject of the classic, “Is she lead or is she supporting?” debates, for her highly acclaimed performance as Queen Anne. While Colman was being predicted by many to possibly win Best Supporting Actress, it has now officially been announced that she will compete in Best Actress, freeing up a slot in the former category. This is where King could benefit. In “If Beale Street Could Talk” the actress plays Sharon Rivers, a mother supportive of her daughter whose fiance is thrown in jail for a crime he didn’t commit. Critics have commended King’s performance as magnificent, and to combine that with such a classic supportive/suffering mother role Oscar voters love to reward is a potentially unbeatable fusion.